St. Ambrose rentals: St. Martin’s, Fulton Ave.
To contact a Homeownership counselor or schedule individual counseling, call 410-366-8550 x249. Not sure if you’re ready to buy a home? Check out St. Ambrose Financial Education. Our HUD-certified counselors help you understand the home buying process and prepare you for the responsibilities of homeownership. If you are buying a home for the first time or just want some advice on how to prepare for homeownership you should consider meeting with a counselor before you buy! Housing counseling consists of two components: in-person housing counseling and 6-hours of education either in-person or online. Both must be completed to access down payment and closing cost assistance programs. If you know you want to start with a counseling session, download our intake packet and send it back with the documents listed on the checklist and we’ll get you scheduled with a counselor. After completing both in-person counseling and education you will receive a Housing Counseling Voucher, which states you have completed the requirements of housing counseling. Once you have a ratified contract your lender will complete the voucher, and send it to our office to receive a copy of your Housing Counseling Certificate. Please note: You have to complete both the online OR group education as well as the one-on-one before you submit a contract on a home. If you are thinking about buying, call us today! If you are ready for education (credit score above 640, savings greater than $2,500 and/or a pre-approval from a lender) you can register for our workshop or enroll in online education. If you aren’t sure you’re ready please call our office today and we can help guide you. Please note: If you are buying in Baltimore County you have to attend an in-person workshop. You cannot complete online education if you’d like to access the Maryland Mortgage Program before January 2019. 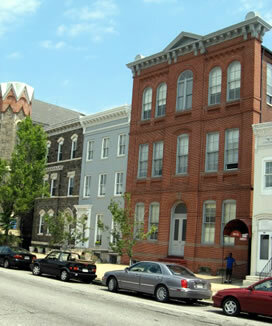 Click here if you are buying in Baltimore City. Registration is open until the day before the workshop. Free continental breakfast and lunch are provided. A spouse, co-borrower, or Special Needs Assistant may attend the group workshop at no additional charge. If you are buying in Baltimore County you cannot take the online workshop and access down payment and closing cost assistance. We offer an online home-buying education course to give you the opportunity to complete the course at your leisure and convenience. The course has quizzes and allows you to repeat information to make sure you understand everything clearly. eHome America is based on the NeighborWorks America Realizing the American Dream curriculum and meets the National Industry Standards for home owner education. Click here if you are buying in Baltimore County. Please note: If you are considering buying in the county you should not take the online workshop. Registration is open one day only. There is no fee for the Baltimore County Workshop. Click here if you are not sure. In order to obtain your Housing Counseling Voucher you must complete both in-person counseling and the education component. please complete our intake packet and gather the documents listed on the checklist. Once we receive a complete intake packet we can schedule an appointment with a counselor. If you’ve completed education and still need to schedule your in-person counseling session please complete our intake packet and gather the documents listed on the checklist. Once we receive a complete intake packet we can schedule an appointment with a counselor. Please note: You must complete the group or online education and the one-on-one before submitting a contract on a home. Our certified counselors will review income and expenses in an effort to provide a unique action plan for each client to prepare for the loan application process as well as homeownership. Counselors will inform the client of current home-buying incentives, answer questions, and give appropriate referrals. The one-on-one sessions are scheduled Monday through Thursday between 10 a.m. and 4 p.m and appointments vary from one to two hours depending upon where you are in the process. Please complete our intake packet, gather the documents and send the complete package to our office as soon as possible so we can schedule your counseling appointment. Copy of recent credit report if available; if not, one will be pulled in the office. We need these documents and the intake packet before scheduling your appointment.